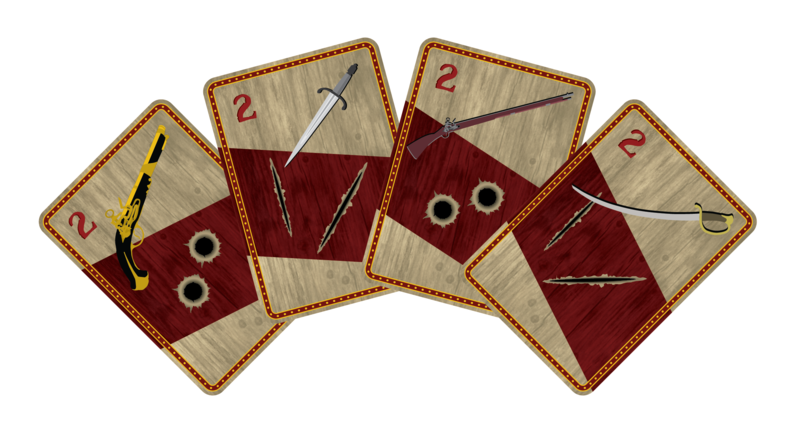 This project is inspired by an actual pirate from the 1700s named Edward Teach (Blackbeard) who became well known for his crimes. 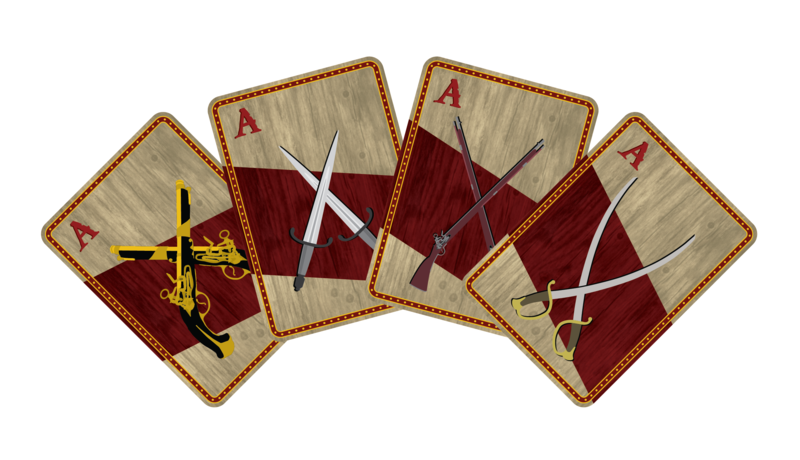 The face cards in the first row is Blackbeard, Blackbeard's vessel, and his second in command. 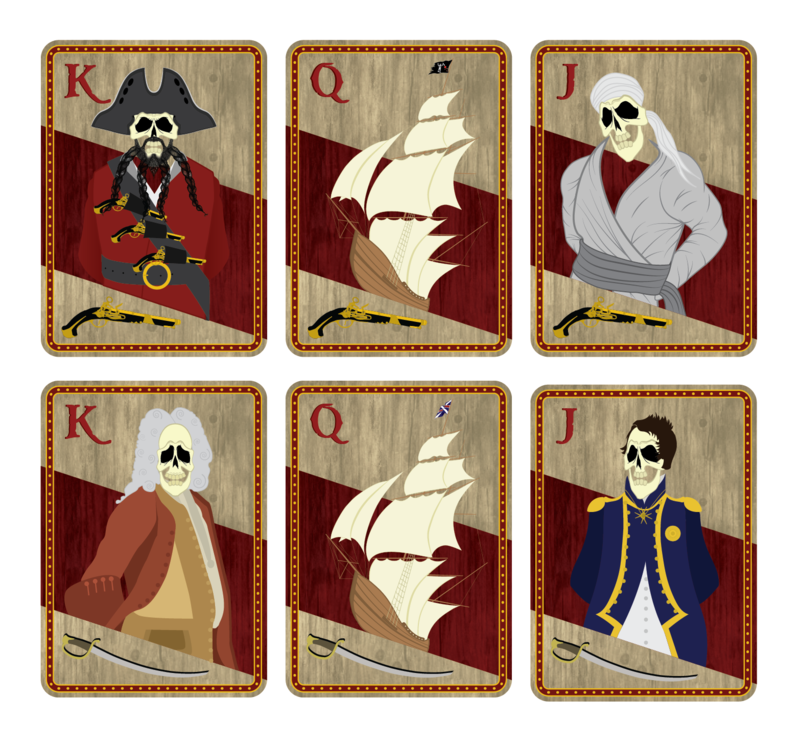 The second row of face cards is the governor of Virginia at that time Alexander Spotswood, the vessel sent out to catch up to Blackbeard, and Lieutenant Robert Maynard who killed Blackbeard.